New research was presented at Anesthesiology 2015, the American Society of Anesthesiologists’ annual meeting, from October 24 to 28 in San Diego. The features below highlight some of the studies emerging from the conference. The Particulars: The use of conversational hypnosis in medicine consists of talking quietly and positively to patients and focusing their attention on something other than the reason why they require medical care. Little is known regarding the use of conversational hypnosis to calm anxious patients prior to surgery. Data Breakdown: For a study, patients undergoing hand surgery were randomized to conversational hypnosis plus regional anesthesia or 25 mg of oral hydroxyzine 30 to 60 minutes before anesthesia. Relaxation levels were measured using a 0-10 scale, with 0 being no comfort and 10 being maximal comfort. The Analgesia/Nociception Index (ANI), which is a 0-100 scale, was also used to measure anxiety, with 0 being very anxious and 100 being relaxed. Analgesia/Nociception Index (ANI). Patients had higher average ANI scores after hypnosis when compared with patients in the medication treatment group. Average comfort scores also improved, from 6.7 prior to hypnosis to 9.3 after the intervention. This increase was favorable to increases seen in the medication treatment group. Take Home Pearl: Conversational hypnosis appears to increase patient self-reported comfort and reduce anxiety during regional anesthesia when compared with medication. The Particulars: Current guidelines recommend that propofol use as general anesthesia during surgery be administered based on a patient’s age and weight. Few studies have assessed whether dosing can be better individualized. Data Breakdown: Researchers administered propofol in a constant, slow rate of infusion to study participants in order to continuously monitor patient response. This technique also allowed the investigators to precisely determine when loss of consciousness occurred and the exact amount of propofol required to do so. 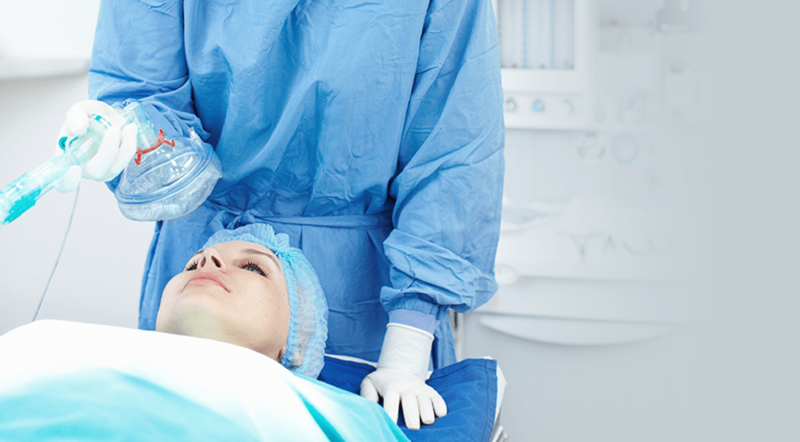 The amount of propofol required to induce loss of consciousness varied by 300%. More than two-thirds of patients required less than the initial dose recommended in drug package inserts. Also, the time needed to induce loss of consciousness varied from 1 minute and 22 seconds to nearly 4 minutes. Take Home Pearls: The amount of propofol required to induce loss of consciousness in patients and the time required to do so appear to vary widely. Propofol should be administered slowly at induction—with monitoring of patients’ responses every 10 seconds—to precisely identify the moment loss of consciousness occurs. This approach can also enable clinicians to identify the amount of propofol each patient requires. This information can then be used to guide the infusion rate of propofol required to maintain an adequate level of anesthesia. The Particulars: Studies indicate that nearly one-half of cardiac surgery patients experience delirium, which can be particularly problematic for older patients and has significant implications on long-term cognitive health and mortality. To date, researchers have not identified an effective method for improving early postoperative neurological outcomes in this patient population. Data Breakdown: For a study, CABG patients aged 65 or older were monitored for depth of anesthesia and accurate anesthetic administration with the BiSpectral Index. Patients were then monitored for cerebral oxygenation. Physicians of patients in an intervention group used monitors whereas those in a control group had monitors blinded to them. Postoperative delirium rates were 22.5% for the control group and only 2.7% for the intervention group. Take Home Pearl: Monitoring depth of anesthesia and cerebral oxygenation during cardiac surgery appears to significantly reduce postoperative delirium among older patients. The Particulars: A 2002 clinical advisory recommended temporarily discontinuing statins for surgery. However, in 2007, the American College of Cardiology and American Heart Association recommended uninterrupted use of statins for surgery to reduce inflammation and promote blood flow. Whether or not physicians have adopted the latter recommendation is not well known. Data Breakdown: Patients on statins who were undergoing non-cardiac surgery were analyzed for a study. Overall, about 32% of patients had not resumed taking their statins within 2 days after surgery. However, improvements in resuming statins were seen between 2000 and 2014. Patients who did not resume statin therapy within 2 days of surgery had a 40% higher mortality rate than those who did resume statins by day 2. Take Home Pearls: Patients who do not resume statin therapy within 2 days of non-cardiac surgery appear to have a significantly higher mortality risk than patients who resume statins by day 2. Continuing statins throughout surgery may reduce the risk of complications and mortality. The Particulars: Studies show that pediatric surgical patients are often prescribed opioids to treat moderate-to-severe pain. Data also indicate a current epidemic of non-medical use of prescription opioids. The diversion of unused opioids prescribed to pediatric surgical patients may be contributing to this epidemic. Data Breakdown: For a study, nearly 300 surgical patients aged 1 to 21 who were prescribed opioids at discharge were followed. Opioids were dispensed in quantities that would provide 10 to 14 days of continuous pain control. However, these drugs were only used for an average of 5 days. At day 14, an average of 36 pills and 67 mL of liquid opioid medication remained unused by patients. Proper disposal of leftover medication was not discussed with 82% of parents, and only 6% of parents disposed of opioids at the conclusion of therapy. Among patients, 46% had siblings aged 12 or older who could potentially misuse leftover opioids. Take Home Pearl: Pediatric surgical patients appear to be prescribed more opioids than necessary to control their postoperative pain. For more information on these studies and others that were presented at Anesthesiology 2015, visit http://www.asahq.org/annual%20meeting.